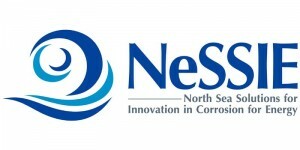 EMEC are attending NeSSIE’s European Corrosion Conference in Glasgow on the 24th January, open to end user companies, solutions providers, technology developers, practitioners and researchers interested in deploying innovative corrosion solutions and new materials n the Offshore Renewable Energy wave, tidal and offshore wind – sectors. If you would like to organise a meeting, please email info@emec.org.uk or call +44(0)1856 852060. Date Space 2019 will be held at the Technology and Innovation Centre, Glasgow on the 24 – 25th January 2019. David Darbinyan will be speaking about marine renewables within the Blue.Space session in which the panel will discuss how shipping, tourism, fisheries, oil and gas, and renewable energy all depend on the sea; as does the Earth’s health. Find out where you fit in and discover how data from space adds value to this $multi-trillion sector. The Rushlight Show is designed to promote the development and deployment of clean technologies, innovation and sustainable solutions. More details on EMEC’s attendance to follow soon. Subsea Expo is being held in Aberdeen on the 5 – 7 February 2019 at the AECC. This is the largest subsea exhibition and conference with over 5,000 delegates attending. The Marine Energy Week 2019 held in Bilbao, Spain on the 12 – 14 February, will include an international Conference Programme, B2B Meetings with international shipowners and shipyards led by Meet The Buyer (MTB), Networking (Private cocktail parties) and an Exhibition Area. The European Space Agency are hosting a user consultation on the world ocean circulation which is the engine that allows energy, heat, momentum, chemicals and floating materials ranging from living resources to marine pollution to be transported over large distance around the Earth. EMEC’s Metocean Engineer, David Darbinyan, is attending the user consultation on the 21 -22 February in Italy, which will prepare a roadmap for new initiatives on ocean circulation research. For more information, click here: World Ocean Circulation User Consultation. EMEC’s Managing Director, Neil Kermode, will attend the book launch and discussions inspired by the ‘Energy at the End of the World: and Orkney Islands Saga’ by Laura Watts. The discussion will also include work by Anne Bevan, Pamela Beasant, Gareth Davies, Becky Ford and Mark Hull. This event is free to attend and will take place on the 21st February at the Warehouse Buildings, Stromness, Orkney and will include book readings, an author signing, a short film and poetry. All welcome. Our Managing Director is speaking at the Edinburgh International Science Festival on Monday 8th April. What’s the deal with ocean power? With the UK poised to be a world leader in the field, industry experts Beth Dickens, Taylor McKenzie, Cameron McNatt and Neil Kermode, discuss tidal, wave and offshore wind power. The BioFREE (Biofouling in Renewable Energy Environments) project has commenced data collection from biofouling monitoring systems deployed across international marine renewable energy (MRE) test centres. This webinar will discuss current environmental research efforts in relation to tackling biofouling. Industrial perspectives on antifouling and anticorrosion coatings, Gareth Berry, EMEA Sector Specialist (Energy), Whitford Worldwide, Whitford Ltd. The conference begins at 15:00 UTC (7:00 am PT / 10:00 am ET / 3:00 pm GMT) on March 01, 2019; you may join the conference 10 minutes prior. Scottish Renewables’ Annual Conference 2019 will be held at the Sheraton Grand Hotel & Spa, Edinburgh, taking place over two days on 12 & 13 March 2019. Is the UK doing enough to transition to a low-carbon energy system, and is Scotland’s leadership on ambition translating into the right action on the ground? Our energy system is changing and renewables are at the heart of that change, but how can we ensure Scotland’s businesses are at the forefront of global market growth? Brexit is almost upon us: what will a future outside Europe mean for ambition, investment and jobs in renewables? How do we build the energy networks of the future? What will the future of investment in clean energy look like? Will technology save us all? And are we investing enough in innovation to make sure it does? For more information and to register click here: SR Annual Conference 2019.